Over the last couple of weeks we have been bombarded by news coverage of the US government handling of foreigners illegally crossing the southern border and having their children separated from parents by our government. At first I tried to avoid subjecting myself to this circus, but I have been paying close attention for about a week. I describe it as a circus because of the hysteria involved. Everyone from the Know- Nothing wing of the Trump party to the ultra-PC progressives, and the libertarians, and even the First Lady Melania Trump have jumped on the emotional roller coaster. The story is all the rage on talk shows and even reporters for NPR, remarkably, have shown audible signs of emotion. Despite my diligence in reluctantly following this story, without exception there has been no coverage of the reason why these people from Central American are risking their lives during a treacherous journey. They leave all to get to a country where they face our hostile president and government and they don’t even speak the local language. While Mexicans have been crossing into America at least since the US annexed Texas in 1845 and stole the northern half of Mexico in 1848, Central American immigration to the US is a relatively new phenomenon. If we knew what was causing this new phenomenon of the highly risky immigration we might be able to stop it and end all the hysteria. Yet, the media does not appear to be interested in discovering the cause of this effect. Maybe they are not bright enough to recognize that most effects have causes? On a recent excursion into the otherwise tranquil and picturesque country of Costa Rica, I learned that violence and murder were the country’s main problems. The murder rate there is 12, which is slightly worse than Uganda! Looking at 20 countries with the highest murder rates, 17 are below our southern border in Central America, the Caribbean, and South America. Those facts should give us a strong hint as to what is causing the exodus from Central American countries. A big factor here is our own War on Drugs. The production of illegal drugs occurs in large amounts in South and Central America. The US government has used its military and other resources to stop the shipment of these drugs via planes and boats so the smugglers use the jungles and deserts of Central America as a pipeline to the US. In addition, the drug cartels and kingpins use the tiny Central American countries, where state security services are lightly armed, as their base of operations and for warehousing their drugs, money and weapons. 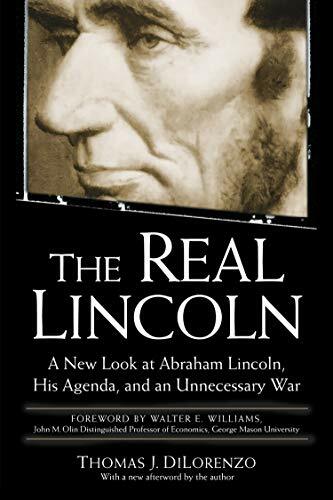 The Real Lincoln: A Ne... Thomas J. Dilorenzo Best Price: $2.00 Buy New $6.85 (as of 09:30 EDT - Details) The cartels use violence and the threat of violence to intimidate the local population and governments. They do not require control over entire countries, but only a small conduit. As a result, the violence is highly concentrated in the areas they wish to have power over. In these places, life outside of the cartels is intolerable. This is the same reason for the hysteria last year about children without guardians making the treacherous journey from their homes in Central America to the US on their own. If you care as much about the immigrant children in US detention centers as much as I do, then you should care at least as much about their frightened, terrorized cousins back in their home country. Some of you might harbor the idea that a building a wall would stop illegal immigration. It won’t. Others might think that immigration is an inherently evil thing. It is not. We have it in our power to end this travesty by ending the War on Drugs — which subsidizes and pressures Central American and South American governments into maintaining prohibition. This, in turn, enriches the cartels. Ending the War on Drugs would go a long way to bring down high rates of violence and murder. Life in Central America would then return to some state of normalcy. With this, there would also be a big increase in foreign investment which would create jobs in those countries. In fact, this would also be a huge spur for immigration into Central America from North America and Europe creating even more service and construction jobs. Meanwhile, trust your free market instincts and don’t trust the political process and the mainstream media for answers. Mark Thornton [send him mail] is a senior resident fellow at the Ludwig von Mises Institute in Auburn, Alabama, and is the book review editor for the Quarterly Journal of Austrian Economics. 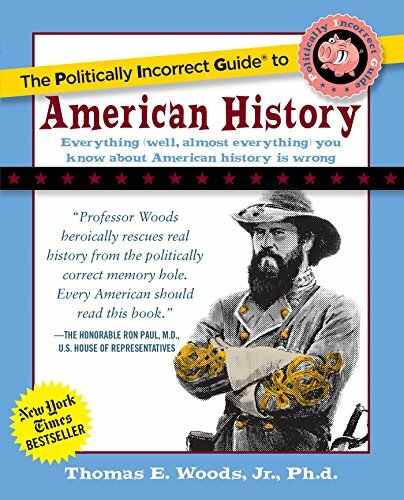 He is the author of The Economics of Prohibition, coauthor of Tariffs, Blockades, and Inflation: The Economics of the Civil War, and the editor of The Quotable Mises, The Bastiat Collection, and An Essay on Economic Theory. He has written about government intervention in the movie industries. He has also reviewed Star Wars: The Phantom Menace, and previewed Star Wars: The Attack of the Clones and Star Wars Episode III: Revenge of the Sith. He has also reviewed Bourne Ultimatum.